The FC-i family of counting scales expands upon the former, popular FC design with higher resolution and more powerful performance features. Thanks to A&D's unique Super Hybrid Sensor (SHS) technology, the FC-Si models have a remarkable internal resolution of FIVE million parts. 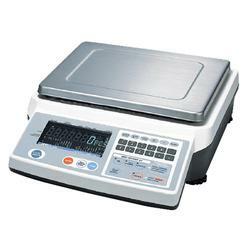 A&D Weighing has long been a world leading manufacturer of counting scales. The FC-i family of counting scales expands upon the former, popular FC design with higher resolution and more powerful performance features. Thanks to A&D's unique Super Hybrid Sensor (SHS) technology, the FC-Si models have a remarkable internal resolution of FIVE million parts.